In case you haven’t noticed a pattern here, I have a weakness for skin care products especially eye creams. I’m a mum of 2 young boys that don’t like to sleep which means I don’t get much sleep either. My first beauty blog post was about my love for Clarins eye cream and I’m afraid this product is a close contender. 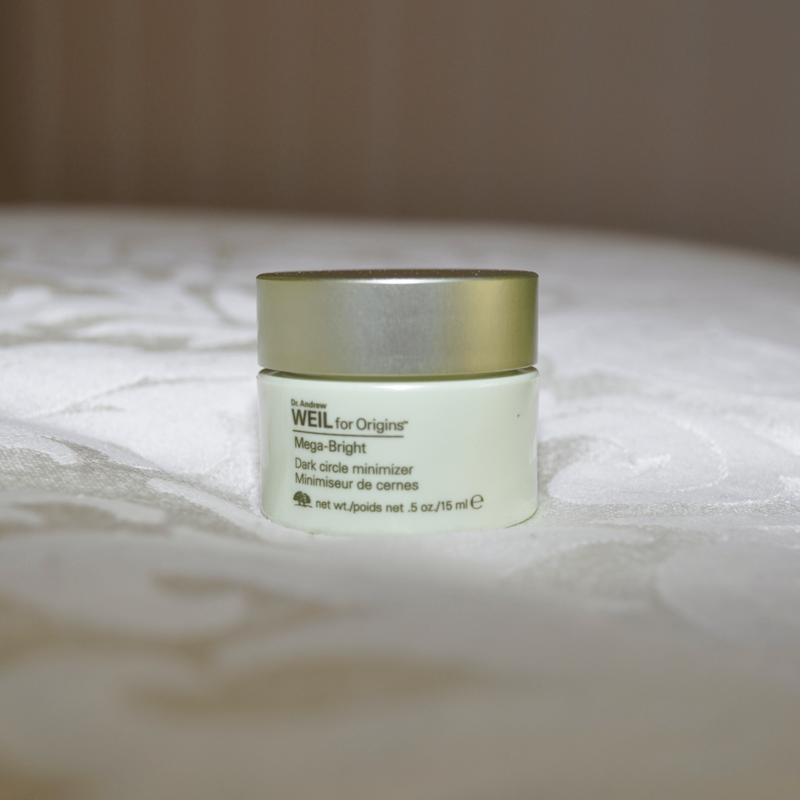 I have posted a review about Origins GinZing eye cream and I found it was great to use in the morning, it reduced puffiness under my eyes but I wanted to use a different product at night, something that would help me in the long run rather than a quick fix and this is where this product comes in handy. 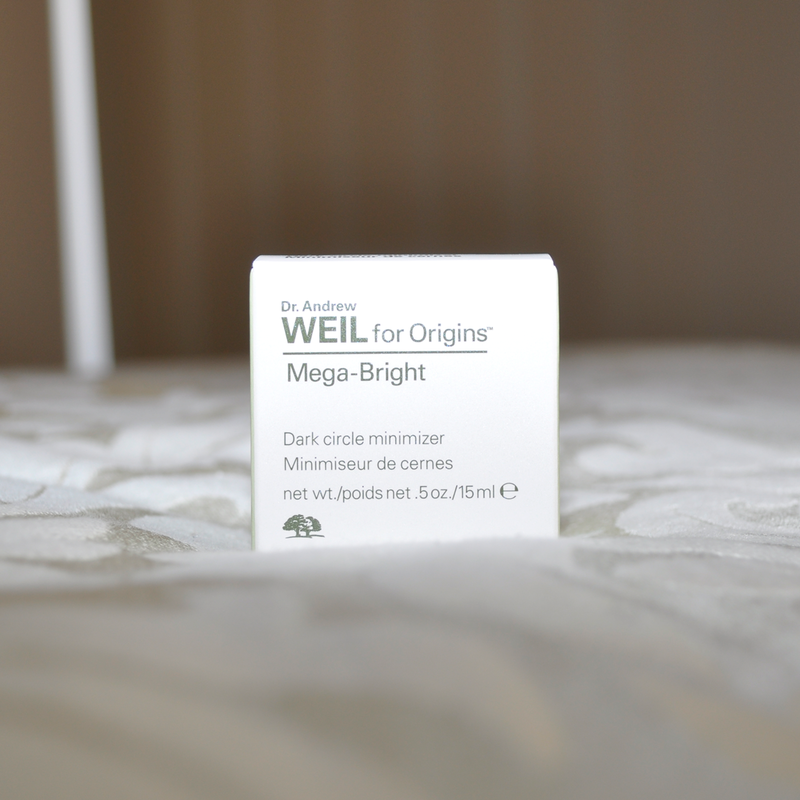 Dr Andrew Weil for Origins Mega-Bright Dark Circle Minimizer strengthens the eye skin to prevent future discolourations from circling back. The active ingredient in the formula is Rosa Roxburghii which is an anti-inflammatory and is packed with lots of skin-brightening Vitamin C.
I get an instant result from this cream, my eyes look rested, brighter and they feel smooth and hydrated. I suggest you go to your local Mecca/Sephora and ask for a free sample. You will be hooked believe me. A little goes a long way, apply a tiny amount on to your finger and lightly tap around your eye contour area. Your eye cream needs time to fully absorb into your skin. Wait approximately 15 minutes before applying anything else to the eye area, such as cosmetics or products. What eye cream works for you? Leave a comment below.